Bloody Scotland 2016 is almost upon us! 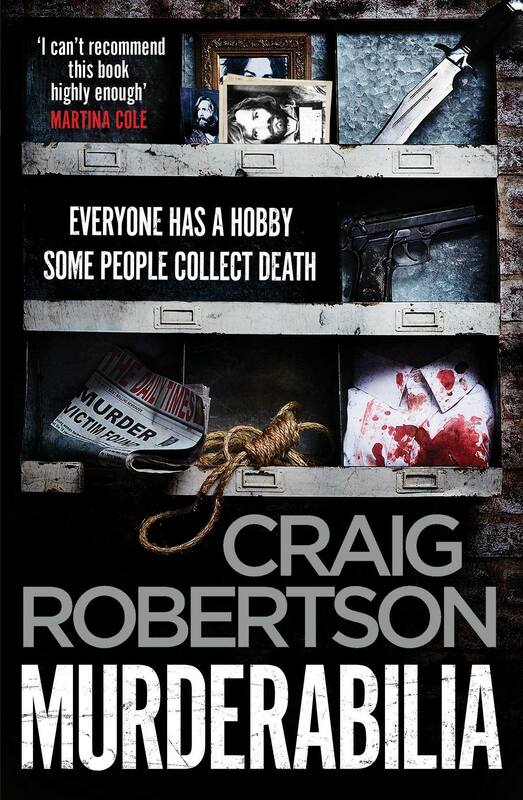 Join Craig and a host of friends and fans at the launch of his new novel Murderabilia. How good a witness would you make? You will find out in this fascinating insight into the science behind witness identification. You will get a front row seat to a bank robbery but will you be able to spot the guilty party or will you risk sending an innocent man to jail? Helping you make this vital decision will be researcher in forensic psychology Professor Graham Pike, an expert in eyewitness identification; author Craig Robertson and some unsuspecting crime writers. Meet three bestselling authors whose work focuses firmly on the dark side of human nature. For Those Who Know the Ending is Malcolm Mackay’s latest trip into the brutality of gangland Glasgow. James Oswald’s Inspector McLean confronts shadows from his past in The Damage Done. 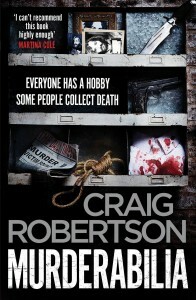 Craig Robertson’s new novel Murderabilia delves into the murky world of serial killer collectibles in the company of DCI Rachel Narey and photographer Tony Winter.